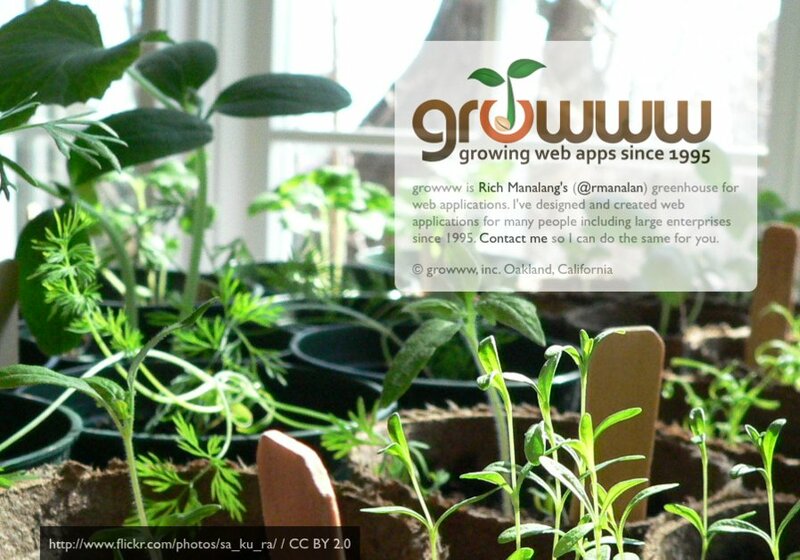 growww is a small (i.e., one man) web design and development shop in Oakland, California. I've built websites and web apps for many people ranging from personal sites, small business apps, to large enterprise apps. Contact me so I can do the same for you!